The Washington University Libraries’ Film & Media Archive will preserve Code Blue, a 1972 recruitment film aimed at bringing minorities into the medical profession, thanks to a grant in this year’s round of Basic Preservation Grants from the National Film Preservation Foundation. The Archive was among 36 institutions selected for one of the grants, earlier this month. 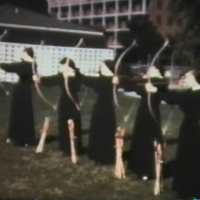 With a 2017 grant from the National Film Preservation Foundation, the Congregation of Sisters of St. Agnes, in Wisconsin, will preserve a promotional film from the heyday of recruitment of nuns to Catholic convents. In the 1950s and 1960s, young women entered Catholic convents in cohorts large enough that their process of formation could be as richly social as it was spiritual. 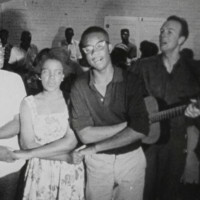 The Washington University Libraries’ Film & Media Archive has completed the preservation and digitization of The Streets of Greenwood, a rare civil-rights documentary film from 1963, and has made it freely available, online. 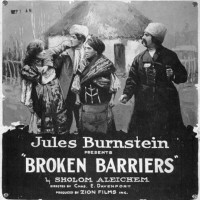 The Archive completed the work with a Basic Preservation Grant it received in last year’s round of funding from the National Film Preservation Foundation. One purpose of the grants is to allow archives to make noteworthy films publicly available. 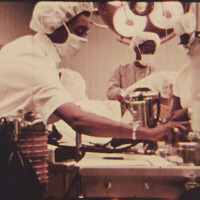 The National Film Preservation Foundation has announced (13 June 2017) grants to save 57 films, including Code Blue (1972), a recruitment film aimed at bringing minorities into the medical field made by Henry Hampton’s Blackside Inc., the Emmy-winning producer of Eyes on the Prize, and Broken Barriers (1919), the first motion-picture adaptation of the Sholem Aleichem story that inspired Fiddler on the Roof.